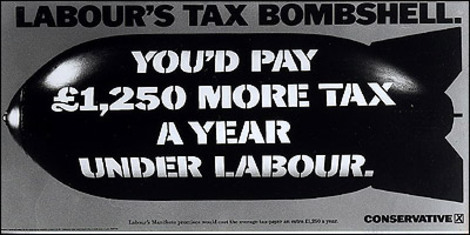 "Labour are relying on diversionary tactics - continual lies and smears"
Those words come from a Tory briefing from 1979 highlighted by Alistair Cooke on the BlueBlog. Nothing much changes, eh? Click here to read more of Alistair Cooke's post and scan through the archived documents. The bombshell had already made a comeback. 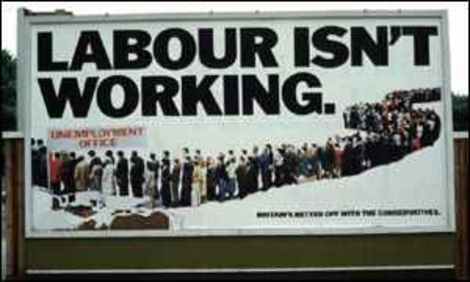 Now the 1979 Labour isn't working poster. Will the double whammy gloves be back by Christmas!? "When national politicians do not perpetually put themselves about in the modern way – announcing daily initiatives against telegenic backdrops; volunteering to debate on the BBC's Today programme; offering up some segment of their domestic lives via a webcam – they lay themselves open to criticism for not doing their job. Such is the presumed importance of taking a high media profile in this day and age. As we report today, however, the leader of the Liberal Democrats, Nick Clegg, has spent his first 14 months in office taking a more softly-softly, more old-style political approach. Less visible on the national stage than Gordon Brown and David Cameron – which perhaps has as much to do with the preference of most media for a duelling style of politics as with any absence from the front line – he has been assiduously tending to the grassroots. In only a little more than a year, he has held no fewer than 30 town hall meetings all over the country – an average of two a month – and he travels to them by train, second-class. The audiences consist of local people; they are not packed with party loyalists, nor are participants vetted." All very exciting I'm sure but David Cameron has managed to hold similar town hall meetings (21 in total, see below) and have national media impact. The Conservative leader's Cameron Direct meetings have been a big success. I know from Robert Halfon that the tickets for the Harlow meeting were all taken up before flyers advertising the event had even been distributed. One advert in a local newspaper was enough to attract 250 attendees. These meetings are a real help to the party's efforts in target seats. Meetings held outside elections - like literature - tend to be more winsome because they are viewed as less obviously vote-grabbing. The people who come tend to be community influentials - priests, charity group leaders and so on - and they have time to influence others in the constituency if they were impressed. Iain Dale scored the Direct meeting he attended very highly. My favourite Direct moment was when David Cameron was asked if aliens had visited Earth. Watch the Tory leader's response here. The ad is clever (although I hope we're not spending too much on billboard placements). The debt message is now being pursued relentlessly. David Cameron is comfortable with the message. It's a winning message. Repeat, repeat, repeat and it will be remembered by the public. This was much more than an ad launch. It was backed up with substance. George Osborne launched a paper - Labour's Debt Crisis - detailing Brown's borrowing. It was multimedia. There was a video - two videos in fact - as well as a billboard. There was a sense of theatre to today. It wasn't just another Cameron speech. The hall was huge. There was music at the beginning. It was almost like an election launch. David Cameron performed well but today was also a team effort. It was interesting after the formal event to watch a host of frontbenchers working the room - talking to journalists and invited party donors. One thing missing: Anger. I still want to see David Cameron get angry (Baby P-style) at the waste of the Labour years. He still seems too reasonable. Too detached. What Brown has done to this country is unforgivable. Benedict Brogan disagrees with me. He sees David Cameron as "mad as hell". I'm still waiting for a fifth gear performance but today was encouraging for a partisan Conservative. Very encouraging. The message at the bottom of the poster is: Labour's debt crisis: Every child in Britain is born owing £17,000. They deserve better. Earlier this week when conservatives.com launched a national debt clock you asked for it to be embeddable and personalised. CCHQ have obliged. 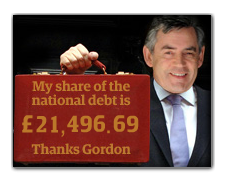 Rather than showing the whole national debt the widget they've just launched (much more meaningfully) shows you your own share of Brown's debt... and click here to embed on your own blog. "200,000 leaflets warning that government borrowing will soar to £100bn by 2010 will be handed out at commuter stations and target constituencies." George Osborne commented: "He is taking the British people for fools if he thinks they can't spot the difference between a tax cut and a tax con." Meanwhile the Labour Party has launched its own campaign. 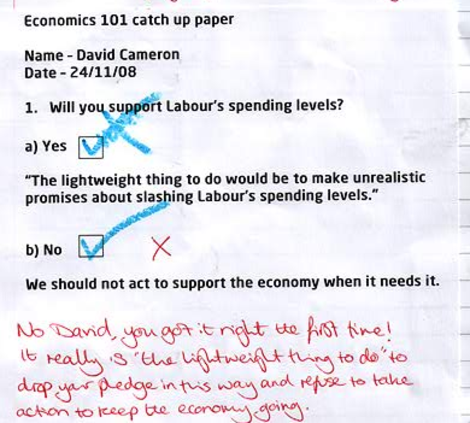 It attempts to portray David Cameron as an economically illiterate schoolboy. Click here. 1pm: Nineteen second animated version of the Tory campaign. The battlelines for the political debate over the coming year will be drawn on Monday when Alistair Darling delivers his pre-budget report. Bookies have cut the odds on a 2009 general election over the last 24 hours, although I am still of the view that a snap contest is highly unlikely - and that is a point of view which Ben Brogan from the Daily Mail is also backing up. "Westminster will be showered by bombshells on Monday. No, I haven't been watching too many episodes of Spooks. The Conservatives will be blitzing Labour in a new campaign with a distinctively retro feel. 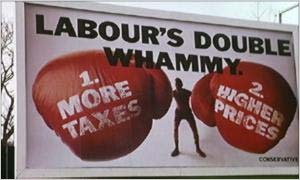 In 1992 the party's tax bombshell poster and election broadcast had a devastating impact on Labour. Who came up with the idea? Why, David Cameron's current head of strategy Steve Hilton who was then a young whizzkid at Saatchi and Saatchi." 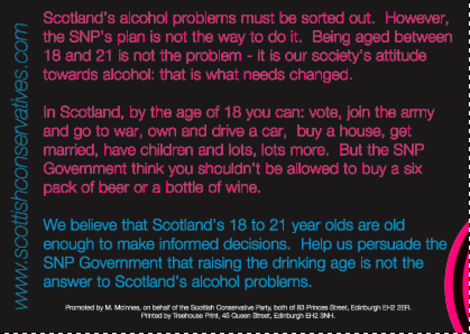 Scottish Conservatives are direct mailing the postcard below to 10,000 18 year-olds in target seats, highlighting SNP plans to stop under 21 year-olds from purchasing alcohol from off licences. Council tax is Britain's most unpopular tax and the pledge to freeze it for two years (for those councils that make economies) will be a vote-winner. Over on the local government blog Harry Phibbs notes how Labour and Liberal councils are preparing to undermine the policy. Harry thinks we should name and shame those councils. He's begun to do so. The £121m commitment to restore weekly bin collections is also a doorstep-winner. The restoration (which will be voluntary for local authorities) will be funded "by scrapping funding for a range of inspectorates, regional assemblies, Labour's new planning superquango and forcing councils to spend less on promotion." It's not a funding commitment I would have made in these 'cupboard-is-bare' times but there's no doubt that Andrew Lansley's promise of 45,000 extra single beds will be very welcome to all those millions of patients and their relatives who are deeply uncomfortable with noisy and infection-prone wards. Hat tip to Eric Pickles for providing two of those three policies and another hat-tip to CCHQ for producing a good overview of party policies: Reconstruction, Renewal, Repair. A PDF of it is here. This is the fourth of eight reflections on the Birmingham Conference by Tim Montgomerie. The previous looked at the suspension of green tax plans. Ruth Kelly has issued an overnight apology for spending part of her parliamentary communications allowance on a constituency newsletter that, in clear breaches of guidance, boasts of Labour Government achievements. The guidelines state that "no party political or campaigning material is allowable in any part of a publication funded, in whole or in part, from the allowances." “The Labour Government has invested so much in improving early years’ services"
It boasts of “the difference made by Labour’s commitment to investing in and modernising our NHS"
It also promotes the work of Bolton West Labour Party. David Davies MP has written to the Serjeant at Arms to complain of these abuses. "Bridget Prentice, a Minister for Justice, has the Labour Party logo on every page of her newsletter – and even includes a photo of her local Labour Party HQ. 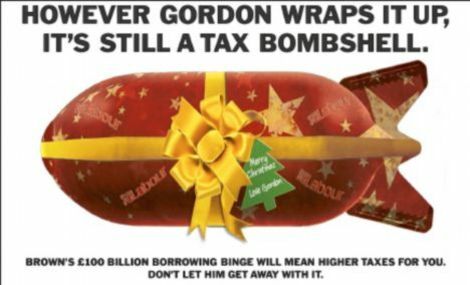 Gisela Stuart, majority 2,349, also uses the Labour Party’s colours across the entire leaflet, including photographs with Gordon Brown and claims Gordon Brown is ‘delivering a fair deal for pensioners today’. Julie Morgan includes a section in her leaflet celebrating the arrival of ‘a new Prime Minister’ who has seen ‘many testing occasions’ as well as pointing out she supported Harriet Harman for Labour’s Deputy Leadership." There are also problems with Labour MPs' websites. Andrew Mackinlay publishes press releases attacking the Conservative Party – linked from his main news page. Janet Anderson's website boldly displays Labour party logos and does not acknowledge that the site is taxpayer-funded. “The Communications Allowance was deliberately created to enable sitting Labour MPs to protect themselves against their democratic opponents. This is further evidence of how Labour voted through taxpayers’ cash to bankroll their political campaigning in marginal seats. If Gordon Brown is serious about restoring trust in politics, he should scrap this unfair Allowance now”. Lord Ashcroft and his beneficiaries have contended that his and others' financing of Conservative candidates in marginal seats is a necessary counterweight to the huge advantage enjoyed by incumbent MPs - at taxpayers' expense. Even without the abuses identified by CCHQ, these leaflets give a huge boost to incumbents and thus produce a very unlevel playing field. 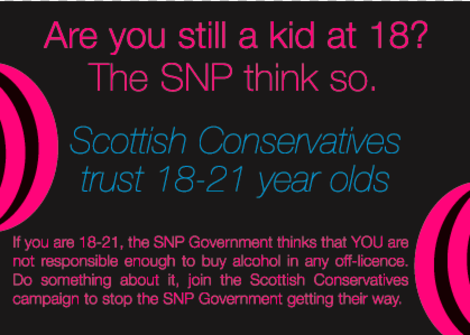 Ruth Kelly's offending newsletter - please click on the graphic to enlarge. If there is an autumn election few expect the Tories can win a majority. The party should gain a handful of seats from the LibDems - particularly because David Cameron's 'Waitrose strategy' has worked reasonably well in the south - but the polls suggest that the party is approximately 10% below what it needs for a parliamentary majority. What is a very real prospect, however, is that the Tories could deprive Gordon Brown of his majority. In an article for The Sunday Telegraph, Iain Martin notes that boundary changes have already reduced the Labour majority to 50. In a bid to scare Brown from holding an October 25th poll the Tories are therefore determined to show that they have the money, candidates, campaigning energy and policies to win at least 25 seats from Labour. On Friday we noted the distribution of hard-hitting literature across 70 target seats. The distribution effort will continue throughout this week as CCHQ's 'red alert plan' accelerates. The Conservatives, Martin writes, are most focusing on constituencies that "ring the M25, are dotted in parts of Kent, on the M1 corridor and near the M4." Elsewhere in The Sunday Telegraph, Melissa Kite notes Lord Ashcroft plans £25,000 bonuses for seats that are judged particularly likely to deliver the '25 seat strategy'. Brown will look less legitimate and certainly less brave in the new year - he will have ducked the opportunity to win his own mandate. So, in conclusion: (1) Tories hope to kill Brown's thoughts of an autumn election by raising the likelihood of him losing his majority; and (2) There are plenty of reasons for believing that - with time - Brown's chances of victory will get smaller and smaller. Over the next few days and during the Labour conference, Tory activists will be distributing a hard-hitting newspaper in target seats. All target seats were invited to take the newspaper and approximately seventy accepted the offer. 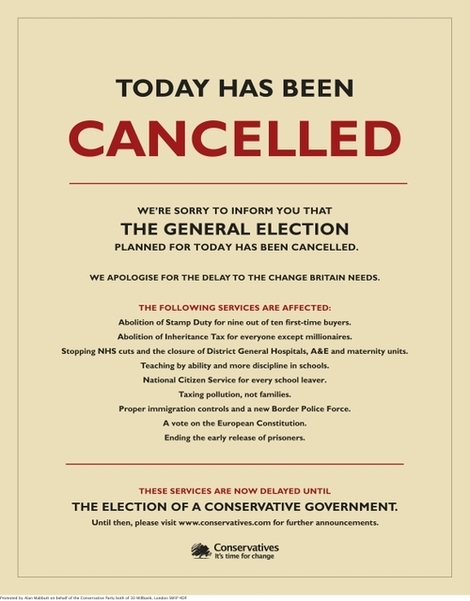 The main themes of the newspaper are crime and the NHS - the balanced themes which saw Tory ratings improve at the end of August and which ConservativeHome hopes will be central to the Blackpool Party Conference. A large number of policy group ideas will be formally adopted - and rejected - by David Cameron in Blackpool. An insider tells me that most Conservative activists will be pleased with the response that the leadership plans to give to Gummer-Goldsmith. The campaign newspaper also has brief sections that individual candidates have personalised and a brief section on Europe - spotlighting Gordon Brown's broken promise on a referendum. CCHQ is now on a maximum level of readiness - red alert for an autumn election. A manifesto is drafted. A programme of events for David Cameron is ready. 25th October is the likeliest date although Gordon Brown won't be making a final decision until he has spoken at next week's Labour conference and reactions to his performance have been focus-grouped. This morning's Telegraph reported that "private Labour polls show that when people are asked who they intend to vote for the party figures reflect the national polls â a lead of between five and 10 points. But," the newspaper's political editor continues, "when asked if there was an election in the next few weeks how would you vote, the figure for Labour shoots up to a strong double-digit lead." Let's hope that that is Brownite spin. I have asked CCHQ to deny speculation that, in the event of an autumn poll, candidates will be imposed on seats that have not yet selected. 5.15pm: UNCONFIRMED but I understand that there's a bad YouGov poll in tomorrow's Telegraph and a 'go for it Gordon' focus group session from Frank Luntz on tonight's Newsnight. Yeah - that's right - the one who helped propel Cameron to the Tory leadership. It's time to fight the closure of A&E and maternity units across the country. It's time to support married couples in the tax system and to give all parents the right to ask for flexible working. It's time to cut taxes on families and increase taxes on pollution. It's time to set up an effective emergency fund to help the victims of the pensions crisis caused by Gordon Brown. It's time for tougher sentences, more police on our streets and an end to Labour's Early Release Scheme. 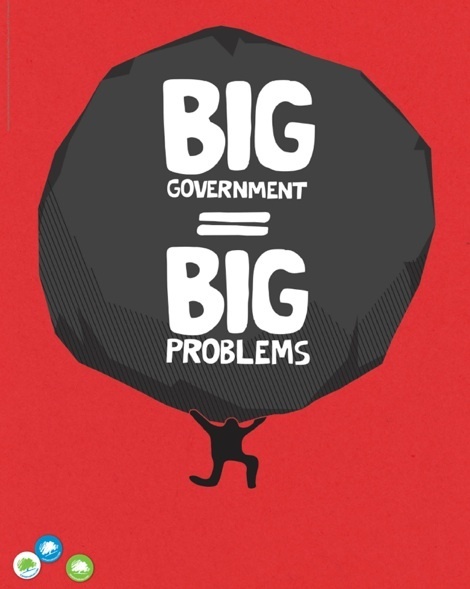 It's time for value for money in public services. We will match Labour's spending but make sure it goes to the front line. It's time for trade to be fairer and aid more effective. It's time to stop the closure of special schools and introduce teaching by ability for every child in every school. It's time for a referendum on the EU Constitution. It's time to introduce National Citizen Service for the 21st Century: a six-week programme for every school leaver. (1), (4), (5), (8) and (10) are the ones I would prioritise from that list - not necessarily as the most important for the future of Britain but for the party's electoral fortunes.